"I am worried about impacts on our fragile high desert water systems because water that is used for fracking should never go back to the aquifer. We need a Moratorium for two years on Produced Water Storage, Recycling and Reuse to ensure that citizens’ voices are heard. Protecting the health and safety of our people and our precious water must be the top priority in all our policies,. " said Legislative sponsor Antoinette Sedillo Lopez. We prevail upon you to do all in your power to ensure that New Mexico does not endanger the water we have and moves toward an immediate and just transition to 100% renewables. A just transition includes First Nations for tribal consultation and Traditional Historic Hispanic Communities many of whom have been left out of the process. 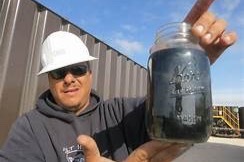 Stop spending any resources on assisting the oil & gas industry in moving forward with the potentially dangerous practice of using fracking wastewater for agriculture or any form of consumption. This practice is not only dangerous but will perpetuate our dependence on fossil fuels and exacerbate climate change. The current approach by New Mexico and the EPA has been tainted by a lack of transparency and industry collusion. New Mexico and the EPA must begin a new process that results in an unbiased study which first and foremost ensures the protection of the health and safety of New Mexicans. We also request that New Mexico and the EPA study ways to reduce freshwater usage by the oil and gas industry. The joint agreement and white paper promoting commodification oil and gas wastewater for dispensation through farms (in lieu of dispensing of the liquid wastes by underground injections, known for causing earthquakes). The agreement would also allow fracking reuse for dust control as well. “It comes down to whether the legislature will allow NM chile to be forever branded as toxic because this is where we are headed without a moratorium on produced water,” said Elaine Cimino Director Common Ground Community Trust Director. The fracking process is needing 30 to 40 times more water upfront, which is not just a difference in volume, it is a fundamental difference in kind. Until recently, operators could usually get all their water from a single surface-use agreement. But most surface owners just can’t supply that much water in that much time, so operators now have to search the whole area for supplies. The fracking process disappears water from the hydrological cycle forever and this has not been accounted for in a cost-benefit analysis. Only about ⅓ of produced water is recovered prior to separating contaminants that are mostly regulated by RCRA but Preempted- including natural and man-made radionuclides and a very expensive water recovery process. Any increase in water requirements for energy generation from fossil fuels would coincide with reduced water supply reliability from projected decreases in snowpack and earlier snowmelt. Increased agricultural water demands under higher temperatures could affect the seasonal demand for hydropower electricity. The water consumption - fresh or brine, pollution, and greenhouse gas emissions of hydraulic fracturing (fracking) make that source of fuel even less adaptive under climate change. Substantial energy and carbon emissions are embedded in the pumping, treatment, and transport of water, so renewable-powered water systems are less energy and carbon intense than ones powered by fossil fuels. Food production in the Southwest is vulnerable to water shortages. Increased drought, heat waves, and reduction of winter chill hours can harm crops and livestock; exacerbate competition for water among agriculture, energy generation, and municipal uses, most pumping from groundwater supplies; and increase future food insecurity. The Common Ground Community Trust is a grassroots community group in Albuquerque/Rio Rancho NM. We are fiscally sponsored by the Albuquerque Center for Peace and Justice. We started this grassroots group while working on the threats of oil and gas fracturing to the Rio Grande Valley. We are asking for support to protect our water and air from the oil and gas industry by donating to our cause. We formed this trust to help protect our water and air, public health and safety so that any funds received will benefit our community. Common Ground Community Trust is created to help protect water, air, health and safety of the community residents which supports community groups to rise up to meet the challenges posed by the onslaught of the oil and gas industry. We are facing the creation of the next Permian basin for drilling oil and fracking for gas for Mancos Shale. It is about the County Commission protecting corporate profits and power by overruling democratically made local policies and regulations. The Ordinance process has been going on for 3 years and we are back where we started. the Current one like the other 6 drafts offers NO PROTECTIONS. office expenses, legal fees, documentation, research, community forums and to help our group get to meetings and give presentations via video and in- person and on a live stream. We are looking to hire a mediator to Stop this travesty and if this fails we will go in with various groups to file an injunction against the County. We can use your help. We need funds as the threat of fracking and drilling of 15,000 leases on private lands in the State of NM are ready to drill in the Albuquerque Basin. After 18 months of working on a draft ordinance, the County is now considering streamlining a 10-day permit process between the state and county for an Oil and Gas permit application. We got the Bad ordinance voted down so we are asking the State legislature for relief. New Mexico's 4 Corners area is the #1 emitter of GHG emissions in the lower 48 States is one of our priorities in order to protect the futures of our children. All donations made on this site are not tax-exempt or deductible. Our children will thank you! The People won a delay when the County Commissioner voted the ordinance down. 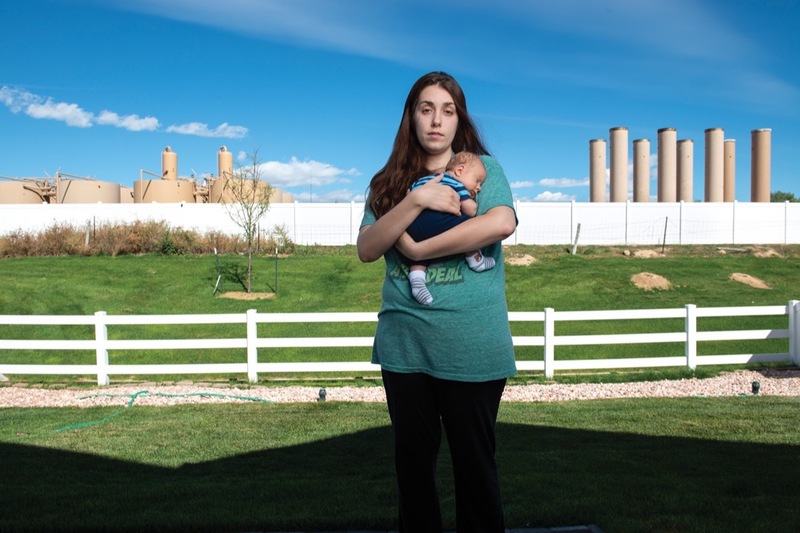 The war of fracking impacts is still being waged by the industry against the people in Sandoval County . The Violations of IPRA and OMA are Still outstanding and We plan to continue to hold the County accountable. We need your help for the legal retainer. The Next Meeting is DEC 14th the Commissioners made two lame amendments that allow for a more affluent town in the County receive a notice to drill while everyone else in the county has not notifications. The second amendment was that the County Attorney is on the hook to approve the permits along with Planning director in order to Rubberstamp approvals. Several Pueblo Governors showed up at this meeting with a resolution from the All Pueblo Council of Governors and the Dine' representative from the East Navajo Agency and their concerns for Tribal Consultation was ignored. You can help us be contributing to the legal fund to hold these Commissioners accountable. 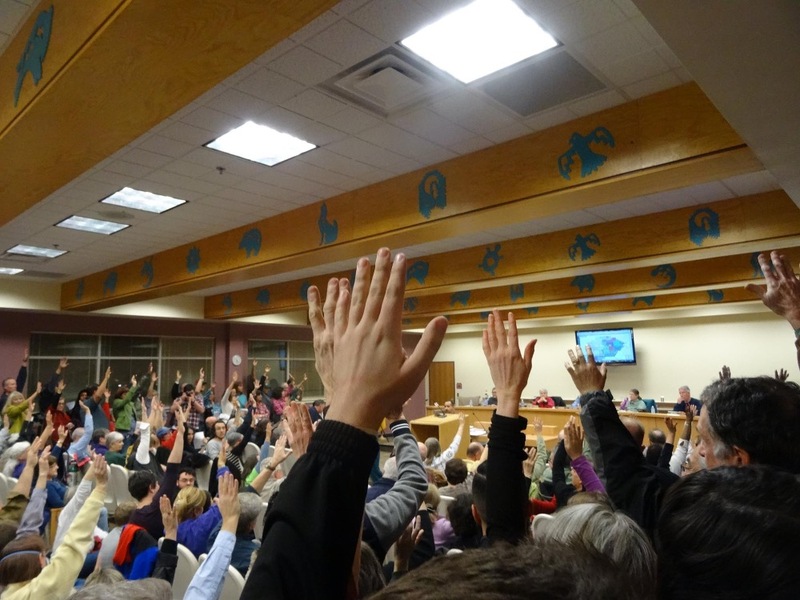 Hands up if your against Fracking!